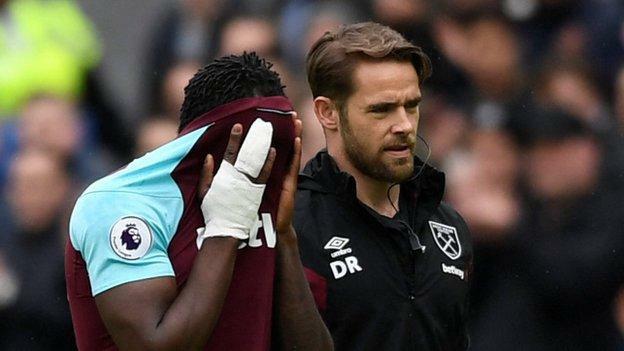 West Ham winger Michail Antonio will miss the Premier League club’s last seven games of the season because of a hamstring injury. The 28-year-old went off after nine minutes of Saturday’s 3-0 win over Southampton at London Stadium. Antonio has made 21 appearances, scoring three times, in an injury-interrupted season. Meanwhile, the Hammers hope playmaker Manuel Lanzini will be back from a knee injury to face Chelsea on Sunday. The 25-year-old Argentine sustained the injury while on international duty. West Ham are five points above the relegation zone.